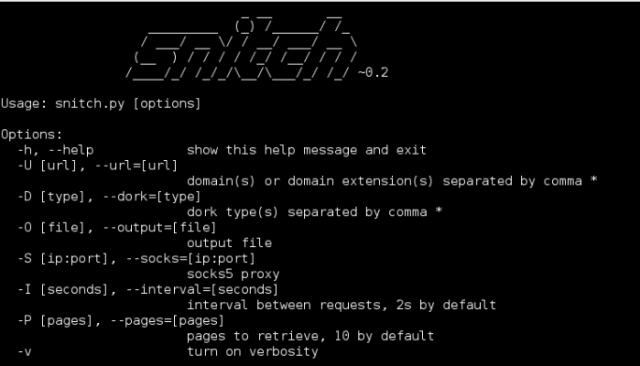 Snitch is an information gathering tool which automates the process for a specified domain. Using built-in dork categories, this tool helps gather specified information domains which can be found using web search engines. It can be quite useful in early phases of penetration tests (commonly called the Information Gathering phase). snitch can identify general information, potentially sensitive extensions, documents & messages, files and directories and web applications.